Alaska Display and Retail Supply, Inc.
ACRYLIC: Unique, Festive/Ornament Displays, Etc. 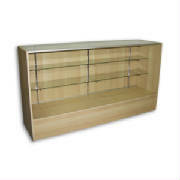 Alaska Display offers a variety of unassembled sales counters, showcases and slatwall display units. 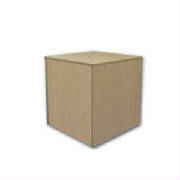 Knock down units can save you money when you assemble them yourself and are boxed for easy shipping around Alaska. 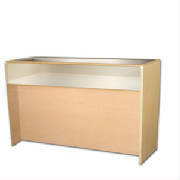 We can assemble the displays for you if you prefer; contact your sales rep for assembly fees. New smaller footprint! 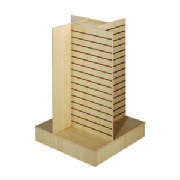 Use with slatwall hooks, brackets, multi use wire shelves and baskets or wood shelves below. 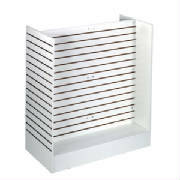 Great for vertically merchandising a variety of products. 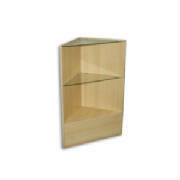 Includes glass shelves; use to turn a corner on a row of showcases. 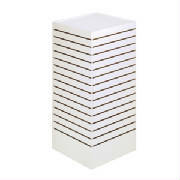 Matches knockdown components; great for finishing a run of showcases or a base for glass cubes or mannequins. 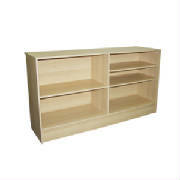 Back storage space with sliding doors; lights and lock sold separately. panel doors. Light and lock sold separately. 8" d chrome bracket #15080418 $2.50 ea. 10" d chrome bracket #150804110 $2.65 ea. 12" d chrome bracket #150804112 $2.80 ea. Do it yourself add on; much cheaper than factory installed. 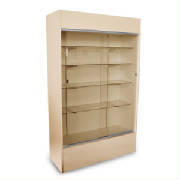 Freestanding knockdown showcase perfect for trophies, collectibles and other products. 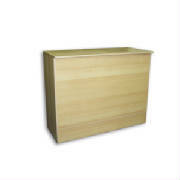 Also available 72" wide case by special order. Lock and lights available separately. Legs fold up for storage. merchandise bags for finalizing your sales. 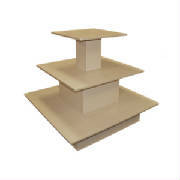 Ships in two boxes.